Is your vehicle’s check engine light on? 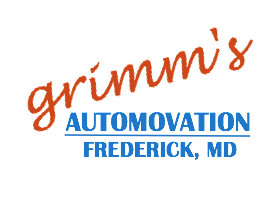 Come to Grimm’s Automovation in Frederick, MD for a quick, reliable diagnosis. Our auto repair facility is fully equipped to handle the needs of all vehicles, large and small, of all makes and models. 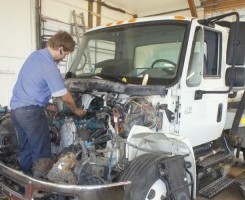 Our highly trained ASE certified technicians have the experience and knowledge in check engine light service to quickly determine the issue and repair the problem in your car, truck or RV. Grimm’s is locally owned and operated, and has been proudly serving the Frederick area since 1981. We look forward to serving you. Grimm’s Automovation offers check engine light diagnostics for cars, trucks, vans, buses, and heavy duty trucks in Frederick, MD and surrounding areas including: Middletown, Thurmont, Brunswick, Urbana, Libertytown, New Market, Mt. Airy, Myersville, Adamstown, Buckeystown, and Urbana.